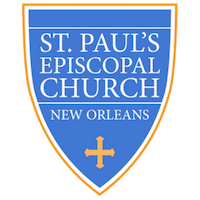 Vestry members will be elected at the Annual Parish Meeting on Sunday, February 17, 2019. The floor is open for nominations until Monday, February 4, 2019. The Vestry are the lay leadership of the Church, empowered to act as trustees of the parish in all matters concerning its corporate property and the relation of the parish to its clergy. The primary responsibilities of these leaders are to administer the temporal affairs of the parish, elect and call the rector, and properly maintain the church and all other buildings and grounds belonging to the parish. The Vestry are the parish's fiduciaries. A fiduciary is “a person to whom property or power is entrusted for the benefit of another” (Dictionary.com). A Vestryperson’s fiduciary responsibility means the trust and confidence placed in a person’s ability to conduct public affairs of the Church for the common good according to one’s conscience. “Persons elected to an office or to a representative body are never sent to a meeting to represent, defend, or vote for a position established by those who elect them or the group they are to represent. Persons are to be elected because it is believed that they can think for themselves and deal openly with complex matters. They are also to be spiritually mature enough to listen for the leading of the Spirit so as to be set free to vote their conscience. No proxy votes are acceptable. Decisions must be reached by those who have been party to the conversation and prayer of the body called upon to consider a matter of concern” (John H. Westerhoff, A People Called Episcopalians, Harrisburg: Morehouse Publishing, 1994, p. 35-36). Most importantly, Vestrypersons are men and women who have responded to the baptismal call of all lay persons to “represent Christ and his Church; to bear witness to him wherever they may be; to carry on Christ’s work of reconciliation in the world according to the gifts given to them; and to take their place in the life, worship, and governance of the Church” (BCP 855). What are the requirements for Vestry leadership? What are the ongoing expectations of Vestrypersons? What should I do if I want to submit my name or another’s name for nomination? If you would like to submit your name or another’s name for nomination, fill out the form below for electronic submission. Or, pick up a print copy of the form in the narthex and turn it in to Lori Lavelle, Parish Administrator, in the church office on or before Feb. 4, 2019. The Vestry Nominating Team (comprised of the Rector, Senior Warden, and Vestry members who are rotating off) will review the submissions and notify the nominees.